The Artecorte Community School is a free school created by Artecorte with the support of the Office of the Historian of Havana City. 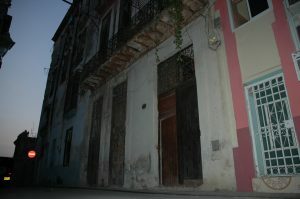 Abandoned local used to build the Artecorte Community School (2010). Although it was initially designed as a Hairdressing and Barbers school for unemployed young adults seeking for an opportunity to learn the trade, new programs have been added throughout the years. All programs are free since the school opened. Organizers and teachers volunteer their time and knowledge to support kids, teenagers and young adults from our community and beyond. Vocational programs for young adults. Workshops and programs for teenagers (middle and high school). Soccer (in partnership with La Liga en Cuba). Workshops and programs for kids (elementary school).